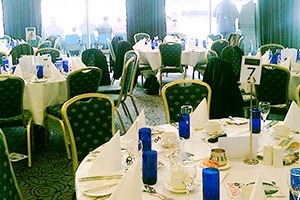 Eventmasters are delighted to provide official Headingley hospitality packages in 2019. Pakistan round off their tour of England with a trip to the Yorkshire-based venue for the 5th and final ODI of the year. With favourites Joe Root and Adil Rashid and Moeen Ali set to play a key-role for the Three Lions, the famous Headingley atmosphere will be electric as always and you can experience it all with the very best in corporate hospitality. Enjoy a superb view of the action from within the iconic Carnegie Pavilion. Located directly behind the bowler’s arm, it provides a splendid base for guests to combine cricket and VIP hospitality.